Russian guitar works don't feature strongly in the musical consciousness, perhaps because more traditional instruments, such as the balalaika, were more familiar to Russian composers. 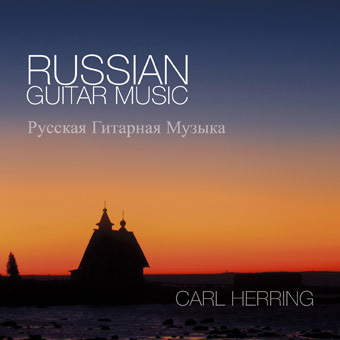 A small trend was started by Andres Segovia's series of concerts in the Soviet Union in 1926, and so this CD by British guitarist Carl Herring features contemporary transcriptions and dedicated works post-dating Segovia's concerts. Glinka and Tchaikovsky are the best-known among the older composers, while three works receive world premiere recordings: the oldest, more than 70 years after its composition, is by Boris Asafiev, who attended one of Segovia's concerts. Herring plays with fluency and assurance throughout.